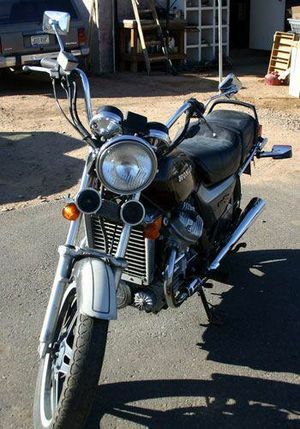 The Honda GL500 is a motorcycle produced by Honda from 1981 to 1982. 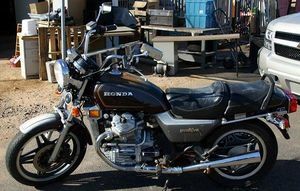 The Honda Silver Wing, designated GL500'81, was sold in 1981. Two colors were available: Candy Muse Red and Cosmo Black Metallic. 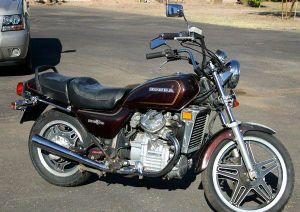 It had gold pinstripes, pro-link suspension, and a single front disc brake. Three configurations of seat and trunk design were available: dual seat with no trunk, solo seat with a small trunk, solo seat with backrest and a large trunk. The engine was a 496cc OHV liquid-cooled V-twin with a 5-speed transmission and shaft drive. 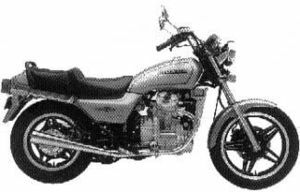 The serial number began JH2PC0200BM000022.